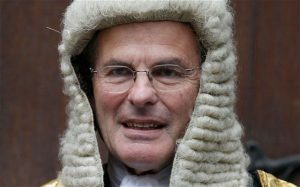 When do you, in the court’s opinion, have a valid case and can challenge the express wishes of the bereaved? That was the question put before the courts in the recent case of Randall v Randall. The answer, according to the Court of Appeal’s latest decision, is when you have ‘sufficient interest’ in the Will to bring a case. And so, Colin Randall has recently been given permission to challenge his former mother-in-law’s Will by the court of appeal. As part of a divorce settlement, his wife, Hilary Randall had agreed that, if she inherited more than £100,000 from her mother, anything over £100,000 would be split equally between her and her husband. In fact when Hilary’s mother passed away she left £100,000 to Mrs Randall and the balance of the estate, amounting to around £150,000, was left to the Hilary’s children. Colin alleged the Will had been forged in order to get round the divorce agreement. Hilary’s barrister argued that Colin was a stranger to the estate and did not have sufficient interest in the Will and, therefore, had no claim. However, master of the rolls Lord Dyson (pictured) said that had the claim fallen within the general jurisdiction of the court, and not the probate jurisdiction, it was obvious Colin did have sufficient interest. Lady Justice King also agreed.